Get your coffee, macha lattes, grain bowls, and fabulous pastries here. 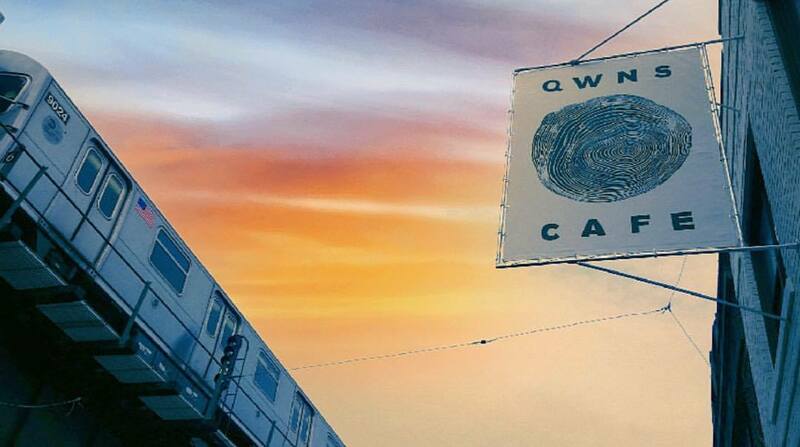 QWNS Cafe is fresh and contemporary, offering many dishes and tastes that cater to Astorians who value good food with modern sensibilities. The coffee seems to be a real hit, from pour overs to espresso drinks; nice to see plain old drip coffee offered, too. Joe Coffee Company out of Brooklyn supplies their coffee. With (or without) your drink (that includes matcha lattes) you can get baked goods—think whole wheat chocolate chip cookies made with date sugar, flax seeds, and sea salt, and vegan croissants. Pastry chef Mike Romano is involved with running this arm of the business. Vegetables seem to be cherished, and after perusing the menu I wonder if they are looking to be competition for Create, which is just up the street and around the corner; SOHO, as you know, has closed. Offerings are definitely on the health-conscious side: avocado toast (less trendy now than before but still tasty), grain bowls, sandwiches (the omnivorous ones with organic meats), and the aforementioned vegetable sides—cauliflower, Brussels sprouts, lemon herb garlic potatoes, and roasted sweet potatoes. They are also conscious of allergies, and encourage those of you with issues like peanut, dairy, or gluten issues (just to name a few) to let them know and they will take good care of you. The space looks updated with new furniture and wall treatments, though the bar/prep area I think has more or less the same footprint as the prep area did at Last Stop. There a mix of smaller tables and longer communal tables; some of the materials used in the space have that reused/salvaged materials look that is so fashionable right now. I predict this will be a popular spot for the laptop crowd. Owner Dino Philippou, who used to run Cavo, has strong standing in the local Greek community, so I expect there to be a lot of support there, too. 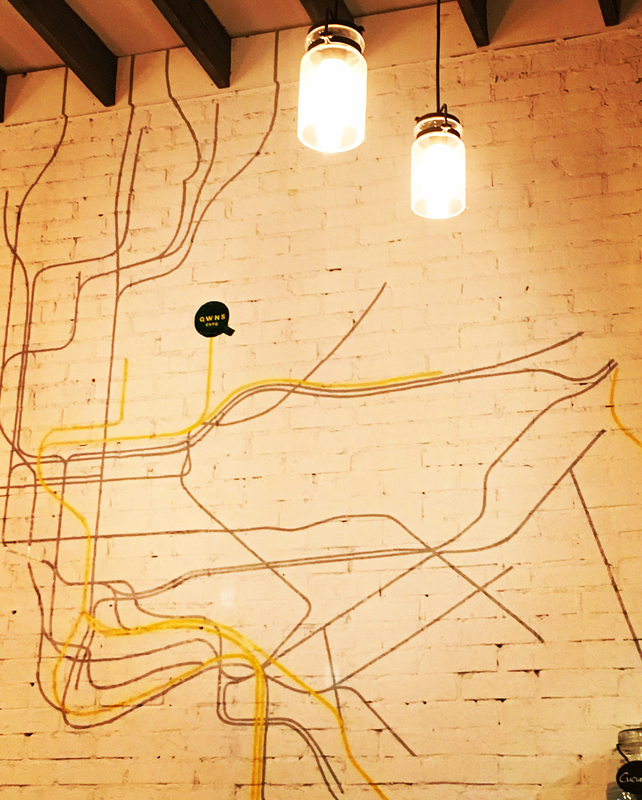 I also really like some of the art on the wall—this subway map leading to the QWNS Cafe logo is a nice touch. So far, there’s been a lot of positive reaction to this addition to the Ditmars area—it looks very clean and on trend, the coffee they’re making is a big hit and the menu looks delicious. We hope they do well and send every good wish for continued success.